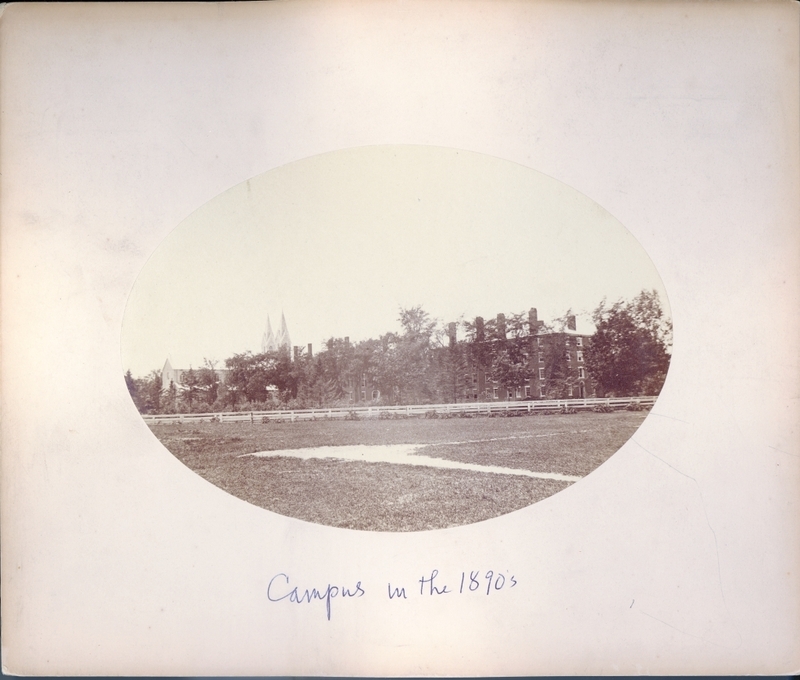 The delta was a playing field next to Adams Hall. This view looks from the left field foul line back toward the campus. Buildings (l. to r.) Chapel, Maine Hall, Winthrop Hall.